Goodreads: Based on a real story - in 1950, a young, beautiful Polish refugee arrives in Hyannisport, Massachusetts to work as a maid for one of the wealthiest families in America. Alicia is at once dazzled by the large and charismatic family, in particular the oldest son, a rising politician named Jack. Kritters Thoughts: A Polish refugee has made her way to Hyannisport, Massachusetts and she is just living her life day to day when she meets a member of the famous family that has a compound in this small town and she quickly gets swept into their world. I had to remind myself often while reading this book that I was reading fiction because I so wanted the story to have the complete truth to back it up. I knew it was based in truth, but I wanted every word to be the truth! I enjoyed reading about JFK through a different set of eyes. We read about him through his family and through Jackie Kennedy, so to see him through eyes that loved him for a time, but also saw all of his flaws and was honest about them was something really new. I really adored Alicia as a character. I loved that we read about her beyond her time with Jack. 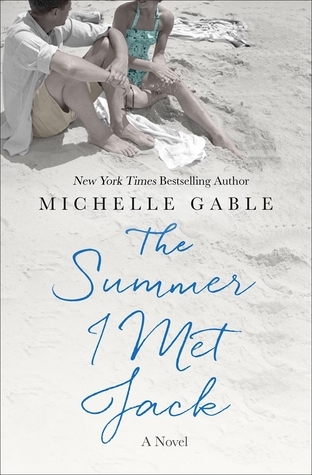 I thought the title was deceiving because the book was so much more than the summer she met Jack, but it was more about how that summer set her life in a new direction. The celebrity cameos were just so perfect. She was name dropping and it was so entertaining! A cross between historical fiction and just an epic fiction book, if you don't read a lot of historical fiction, don't shy away from this story. The book doesn't take place that long ago and the characters and story are so epic, that is worth the try. Also don't be swayed by the page count, this book reads so fast you won't want to put it down.